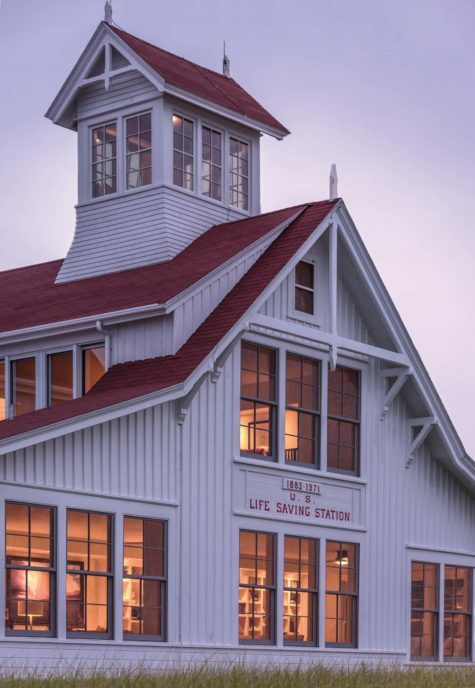 The Hunnewell Station was built in 1883 to house the Life-Saving Service. 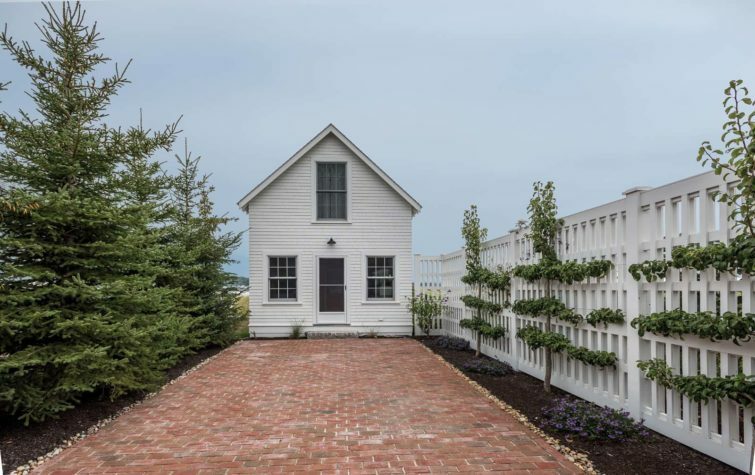 It is now a private residence, yet it still retains much of its historic charm and serves as a landmark for beachgoers at Popham. Sea grass planted on the beach-facing side (right) helps prevent erosion, and the extensive gardens work to tie together the various buildings while providing herbs and vegetables to the new owners. 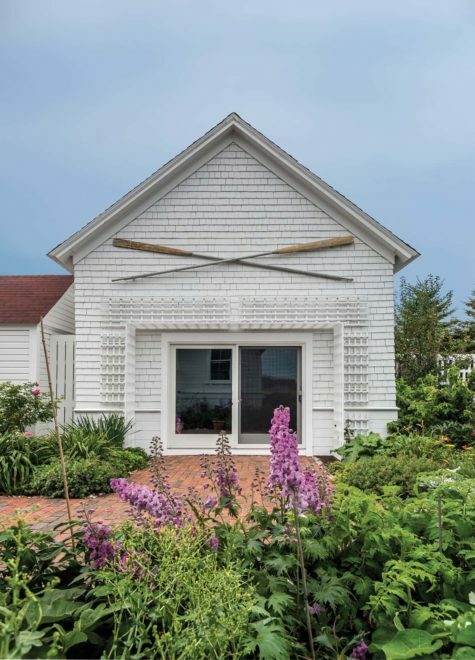 The Life-Saving Service boat oars are mounted on the boathouse as a reminder if its past. 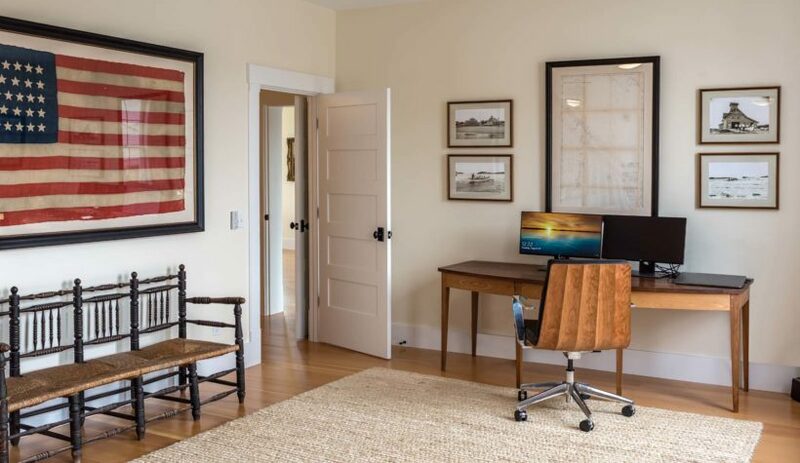 This vintage American flag from the 1880s was purchased by the current homeowner. “It is one of the many historical items related to the period that we have,” says the homeowner. After years of neglect, the roofline had begun to sag. Bob Stevens of R.W. 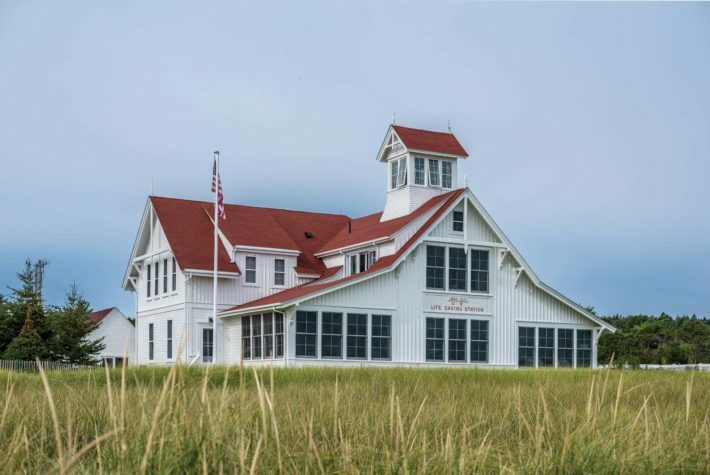 Stevens in Phippsburg worked to restore the property in 2012, fortifying the drooping third floor with metal fasteners and reireinforcing the cupola. The furniture in the house is a mix of old and new. The office features a desk by Thos. Moser and a beachy natural fiber rug. The property has several additional buildings, including a cottage for guests and a workshop. 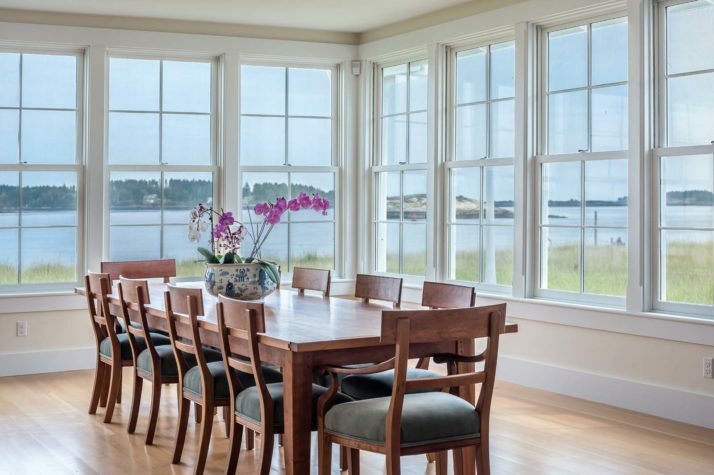 Black cabinets flank the cook’s kitchen, and a dining room extends beyond the kitchen with seating for ten and an uninterrupted water view. In the enclosed gardens, colorful crab buoys add color to the backdrop of the beach cabana. 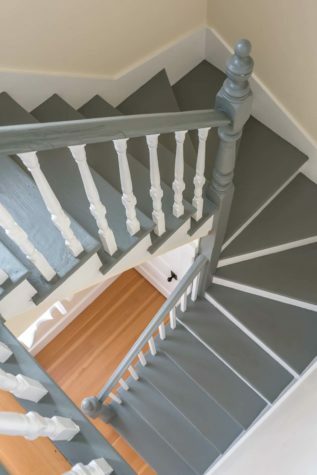 These original stairs lead to the cupola, which boasts a 360-degree view over Popham Beach. When the house was restored by a property developer, they added in all the amenities a family could want. Paths made of reclaimed bricks, connect the buildings on the compound. Small details, like the tape shown here on the stairs, remain from the building’s former life as a public service station. The owner’s suite has a small balcony and incredible views of the Atlantic. 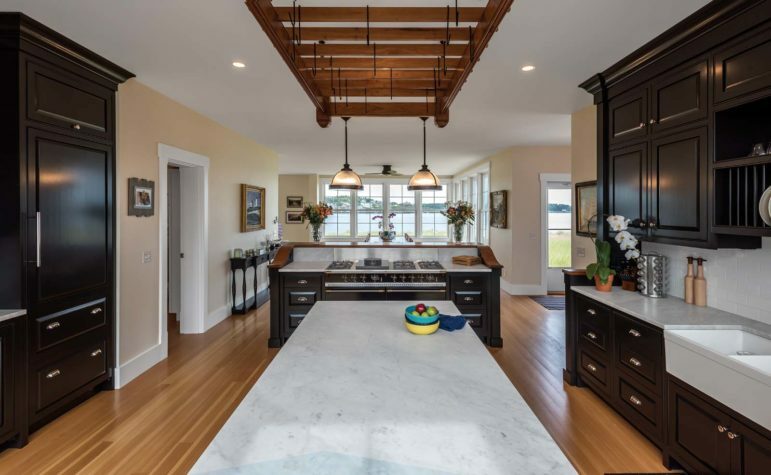 Marble countertops and a large porcelain sink provide ample work space for prepping lobster and summertime feasts. 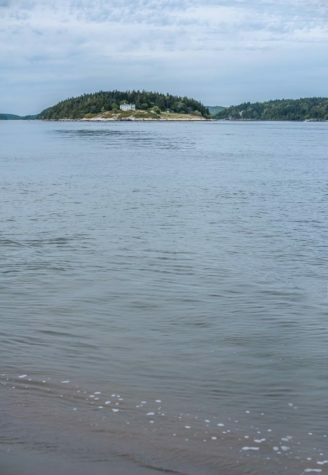 The homeowner hopes that this property—and this view—will remain in their family for generations. “To be in this building today, it gives me a sense of awe,” he says. 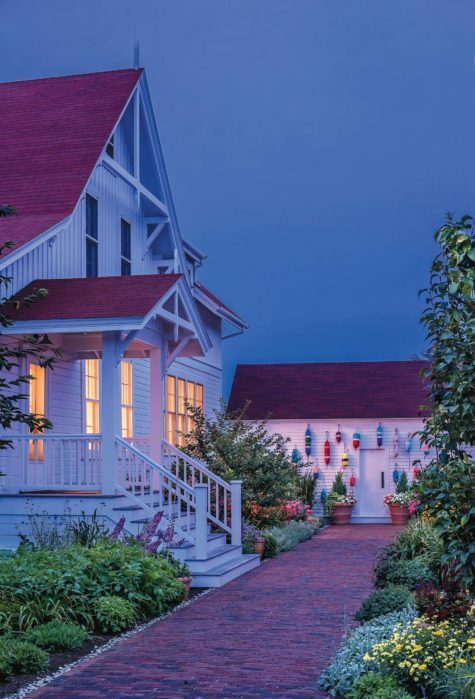 The white clapboard building with the red shingle roof wasn’t intended to be a home. It was a lifeguard station, designed for public service and funded by the government for the sole purpose of saving lives—that is, for rescuing capsized fishermen, inexperienced swimmers, and any other unfortunate people who might find themselves suddenly out of their depth. 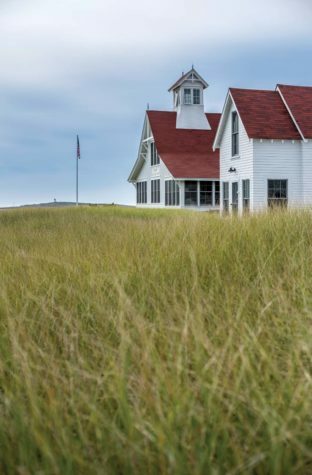 Built in 1883 on a grassy dune overlooking the sandy expanse of Popham Beach, the Hunnewell Station (now called the Surf Station) served seafarers for decades. But, like many historic structures, it eventually went into retirement. Slowly, the stately property began to degrade. 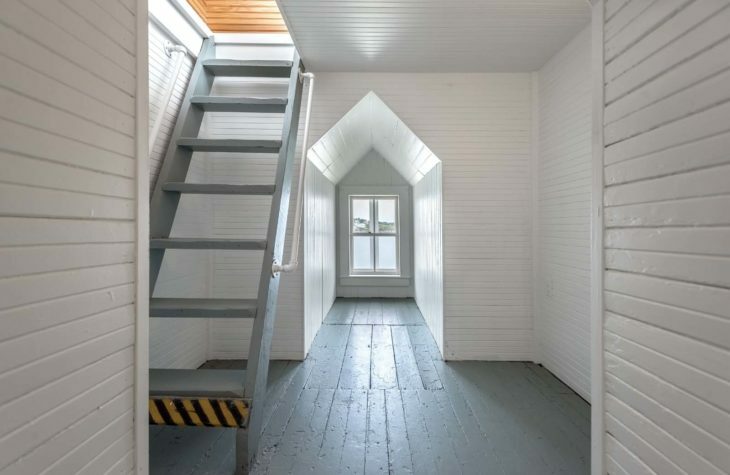 The roof began to sag under the weight of the cupola, the wood floors were badly worn down by sand and feet, and the bright white facade became weathered and dingy. “From the outside, it’s exactly the same, except it’s been tidied up. But from the inside, it’s a whole new building, with new wiring, insulation, and plumbing,” says Stevens. During the restoration, Stevens and his team replaced the entire roof, reframed the roof deck, fixed the exterior porch so that it would better match the existing building, installed new flooring throughout (using old-growth Douglas fir), put new windows into the kitchen and living room, and built several new structures for house guests (including the “cottage,” a two-bedroom, two-bathroom freestanding house that fronts the beach). When the current homeowner moved in, the house was entirely “livable.” In addition to completing the necessary renovations, the last occupant also left some agreed-upon pieces of furniture. 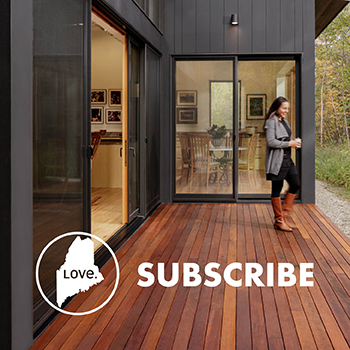 “But over the past few years, we’ve been able to make the house a home,” says the homeowner. “If you wanted to, you could sterilize the space and get ex- pensive armoires and furnishings and keep it like a museum. But that’s not us. 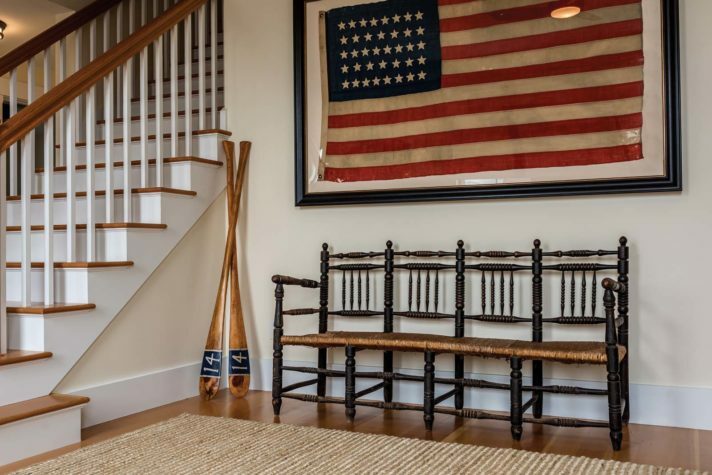 We have shoes lying around, and sand gets brought in from the outside.” For reasons both practical and aesthetic, he chose couches slipcovered in white canvas for the main living areas and woven jute area rugs to cover the wood floors. “We wanted it to feel beachy,” he says. There is no air-conditioning in the house, but this hasn’t been a problem. Inside, the Surf Station looks and feels cool. 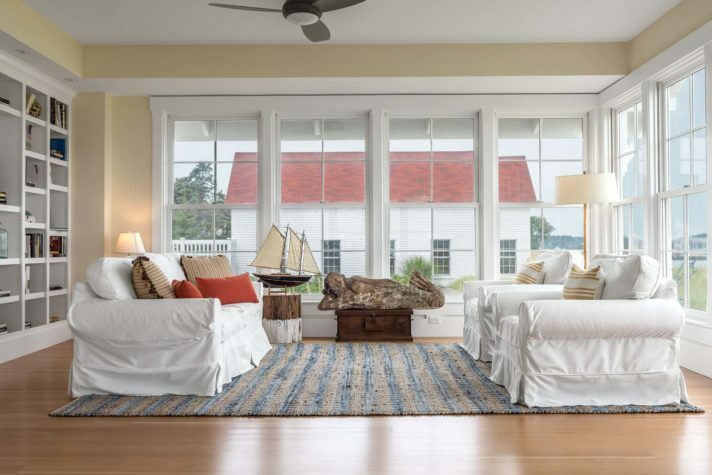 The look comes from the light and natural color palette—the trim is bright white throughout, and the walls are painted a variation of linen or cream— and the comfort is due in part to the well-placed windows and generous ceiling fans, which keep the air circulating in the event of a summer heat wave. During the winter, the house stays warm thanks to the radiant heating that seeps up through the Douglas fir floorboards and to the newly added insulation. “We took out a monstrous coal-fired burner that was covered in asbestos, and we put in a modern propane unit,” says Stevens. 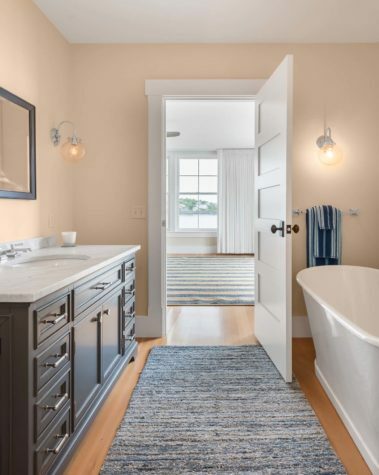 “The bathrooms are also brand-new, up to snuff, and fully modernized,” he says, with luxurious touches like marble tile and stainless-steel porthole-style mirrors installed above the sinks. The kitchen, too, has been “done to the nines,” as the homeowner puts it. With a seven-burner Lacanche stove, two ovens, and marble countertops, it’s an impressive workroom that would thrill any home cook. 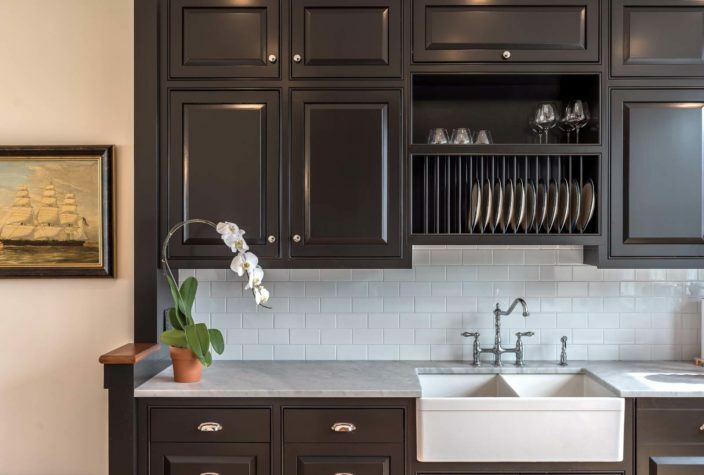 The cabinets are made from poplar wood that has been painted black—a contemporary yet classic touch that speaks to the old–new nature of the project. And that’s the most beautiful thing about the Surf Station. It’s a place that was designed with a purpose in mind, and although that purpose has changed over the years, it’s still a place that is meant to be used. 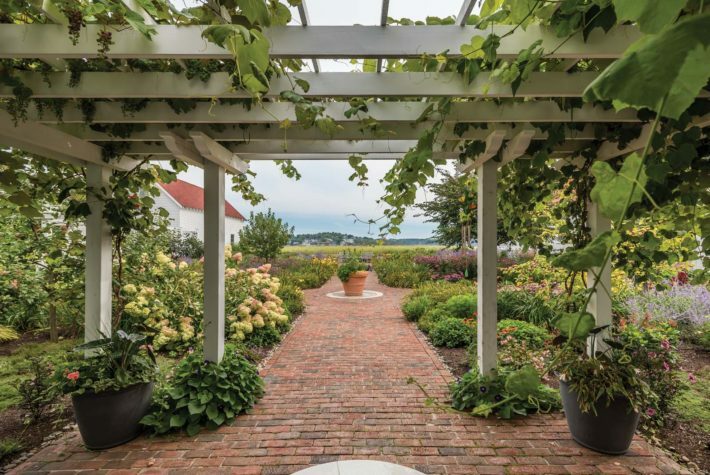 From the gardens, where ripening fruits on the vine beg to be picked, to the beach, where soft sand commands the shucking off of shoes, there are reminders everywhere to slow down, pay attention, and enjoy. Sometimes, the homeowner likes to think about all the different people who have lived in this house and worked in this place. “To be in this building today, it gives me a sense of awe,” he says. 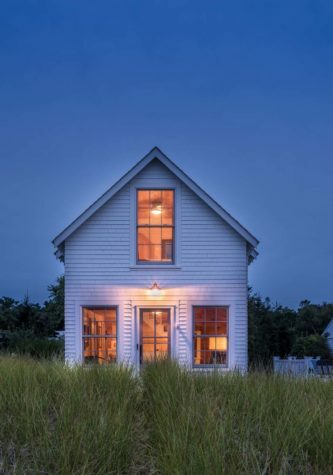 “It’s survived through hurricanes, wind, snow, 90-degree heat waves, and freezing cold nights. Now I’m a steward for the next round of stories, and when I’m gone my kids and grandkids will be the next stewards.” Retired no more, the Hunnewell Station has been transformed into the Surf Station, and if everything goes according to plan, maybe a hundred years from now it will still greet Popham Beach walkers with its cheerful red roof, bright white walls, and fragrant blooming beach roses.